في هذا الاسطورة القوي . 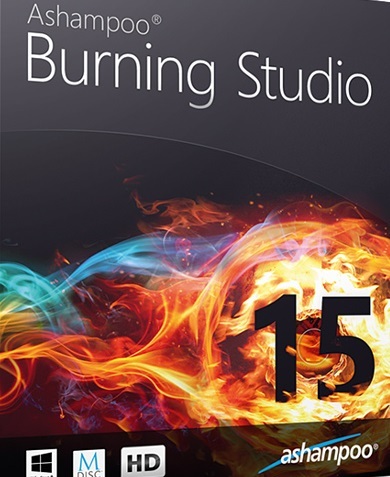 Ashampoo burning studio 15 - a new version of the universal program for recording CD-RW, DVD-RW, DVD RW and Blu-ray discs. This is the result of more than fourteen experience in multimedia development and programs for recording. Even easier, more powerful and more reliable - the best experience ever created burning Studio! The program allows you to create projects and record CD / DVD (including MP3-CD, VCD, S-VCD and Blu-ray). The program supports long filenames (127 characters for DVD and Blu-ray and 64 for CD), automatic configuration settings, saving and loading project, the creation of images, a simple file management with DragandDrop and more. Works with most recording devices. Ashampoo burning studio 14 fits the new technology to always meet your needs. Therefore, it not only has the standard features for your writing tasks, but is also an ideal solution for smartphones, social networks, cloud services and modern multi-core processors. • Create stunning images from your DVD-slideshows with animated graphical menus. • Your personal details should remain exactly as - personal! In ashampoo burning studio 14, we built disk encryption on industry standards, so that your data will be available only to you. • During ripping, ashampoo burning studio 14 automatically searches for the most suitable cover for your tracks. You do not have to do it yourself. • Thanks to ashampoo burning studio 14, you no longer need to manually copy the files, such as images, from your smartphone or tablet to your PC. Just plug it into your PC - ashampoo burning studio 14 does all the work. Supports all modern devices, including smartphones and tablets on Android and iOS (iPod, iPhone, iPad). 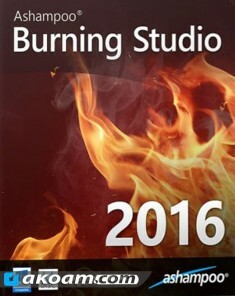 • ashampoo burning studio 14 has a number of improvements that will make your life easier. It has intelligent file selection dialog that display only those files which match the current task, the virtual tree structure that provides a hierarchical view of folders that will be recorded, as well as a number of other improvements.